A near-miss epic, The Sand Pebbles is a three-hour drama set in a restless China, with a focus on the unexpected schisms created by stirring geopolitical forces. It's 1926, the age of gunboat diplomacy in China, with foreign powers keeping military watch to exert power and enforce treaties. Against a backdrop of warring militias, local uprisings, and growing local resentment over foreign presence, US Navy engineer Jake Holman (Steve McQueen) is reassigned to the USS San Pablo, a small gunboat patrolling the Yangtze River. En route to his new assignment, he meets Jameson (Larry Gates), a fiery missionary opposed to foreign meddling in China, as well as idealistic school teacher Shirley Eckert (Candice Bergen). Holman is a loner with a patchy record, more comfortable running his engine than interacting with people, and he immediately clashes with Captain Collins (Richard Crenna). Collins is happy to have Chinese labourers (known as coolies) look after all menial tasks on the San Pablo as a way to appease the locals, a system that Holman finds wholly unprofessional. The crew includes the thoughtful Frenchy (Richard Attenborough), who becomes one of Holman's few friends, and the brutish Stawski (Simon Oakland). With local tensions rising and anti-foreigner sentiment reaching a boiling point, Holman trains Po-Han (Mako) to be his new engine room assistant, while Frenchy falls in love with local girl Maily (Marayat Andriane). But trouble is stalking the San Pablo, and soon the gunboat is sucked into the vortex of Chinese nationalism seeking to confront foreign military symbols. 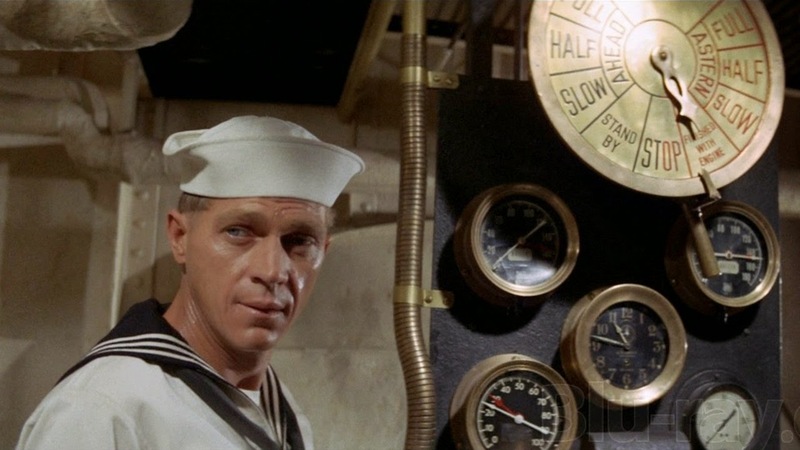 An adaptation of the Richard McKenna book and directed by Robert Wise, The Sand Pebbles tackles a weighty subject matter with a serious, downbeat tone. The film is more about a sense of time and place rather than action and adventure. Wise invests in setting the scene, establishing context, introducing key characters, and only gradually winds the film towards a rousing climax. The pace is measured, the dialogue sparse, and the rural scenery often quite beautiful. Filmed in Taiwan and Hong Kong over an exhausting seven month production schedule, the settings are exotic, alternating between the busy river, bustling shoreline communities, the grimy bar / whorehouse that caters to the navy men, and the compound that serves as a base for Jameson and Shirley. Amidst the thoughtful reflections on the unwelcome role of foreign powers in China, the one-sided treaties being protected by gunboats, and the fragmented local population trying to coalesce around a cause, The Sand Pebbles does get distracted by languid treatments of a couple of sub-plots. For questionable reasons Holman contrives to arrange a bare-knuckled boxing bout between Mako and Stawski, and the ordeal consumes a large chunk of screen time. Similarly the romance between Frenchy and Maily is filled with slow moving heartache, and appears to be based on not much other than sombre infatuation. 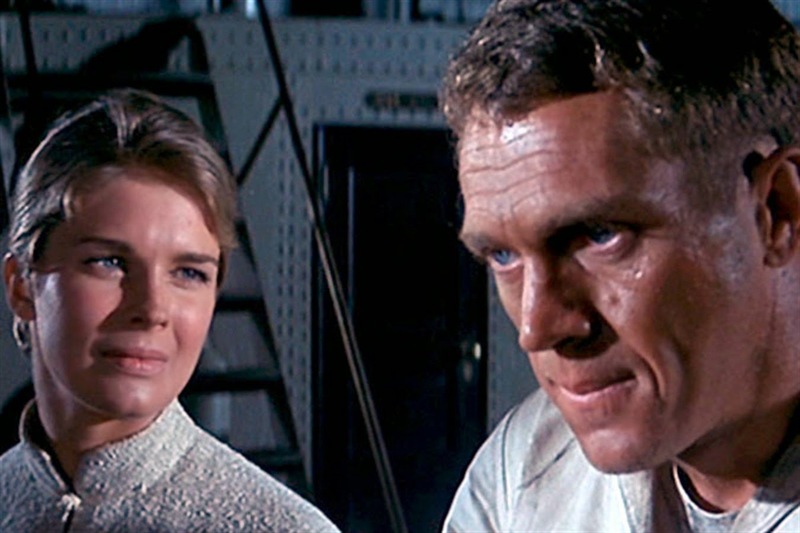 Steve McQueen received his only Best Actor Academy Award nomination for his role as Jake Holman. In many ways it's the prototypical McQueen character, tough, confident, independent and resourceful. But as a long-serving Navy machinist, Holman also has well developed survival skills, and is circumspect and willing to occasionally swallow his pride, waiting for the right moment to act. Crenna, Attenborough and Bergen provide able support, but given its length the film is rather thin when it comes to enduring and memorable secondary characters. The Sand Pebbles ends on a high, and the final hour provides a handsome pay-off. China begins to shake off its malaise, and an era starts to draw to a close. A giant awakens, shrugs off the dust, and the San Pablo finds itself isolated, surrounded and trapped, the crew forced to endure a long wait before breaking a blockade and pursuing a cause. Collins finds a way for his spirited gunboat to turn potential mutiny into a grab for glory, while Holman finally gets to be part of a team. It's a stand in the face of a nation rising, perhaps heroic and perhaps foolish, and a fine way for a small gunboat to register a footnote in history.